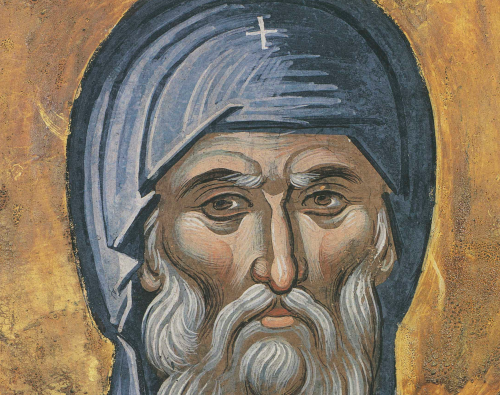 Saint Anthony the Great is known as the Father of monasticism, and the long ascetical sermon in The Life of St Anthony by St Athanasius (Sections 16-34), could be called the first monastic Rule. He was born in Egypt in the village of Coma, near the desert of the Thebaid, in the year 251. When St Anthony was about twenty years old, he lost his parents, but he was responsible for the care of his younger sister. Going to church about six months later, the youth reflected on how the faithful,in the Acts of the Apostles (4:35), sold their possessions and gave the proceeds to the Apostles for the needy. Then he entered the church and heard the Gospel passage where Christ speaks to the rich young man: “If you would be perfect, go, sell what you possess and give it to the poor, and you will have treasure in heaven; and come follow Me” (Mt.19:21). Anthony felt that these words applied to him. Therefore, he sold the property that he received after the death of his parents, then distributed the money to the poor, and left his sister in the care of pious virgins in a convent. Read the entire article on the OCA website. 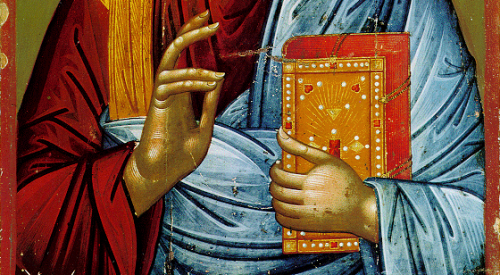 Choir practice begins at 6pm and Orthodoxy 101 at 7pm. PLEASE NOTE: Starting next week, choir practice and bible study will move to Tuesdays — starting January 19, 2016. Please sign up on the website or talk to Fr. Hans. I have consciousness of my sinfulness, but I live with hope. It is bad to despair, because someone who despairs becomes embittered and loses his willingness and strength. Someone who has hope, on the contrary, advances forward. If you wish, you can be a slave of passions, and if you wish, you can remain free and not submit to their yoke; for God has created you with that power. What shall I render to the Lord for all that He has given me? Brethren, obey your leaders and submit to them; for they are keeping watch over your souls, as men who will have to give account. Let them do this joyfully, and not sadly, for that would be of no advantage to you. Pray for us, for we are sure that we have a clear conscience, desiring to act honorably in all things. I urge you the more earnestly to do this in order that I may be restored to you the sooner. Now may the God of peace Who brought again from the dead our Lord Jesus, the great shepherd of the sheep, by the blood of the eternal covenant, equip you with everything good that you may do His will, working in you that which is pleasing in His sight, through Jesus Christ; to Whom be glory forever and ever. Amen. At that time, as Jesus entered a village, He was met by ten lepers, who stood at a distance and lifted up their voices and said, “Jesus, Master, have mercy on us.” When He saw them He said to them, “Go and show yourselves to the priests.” And as they went they were cleansed.